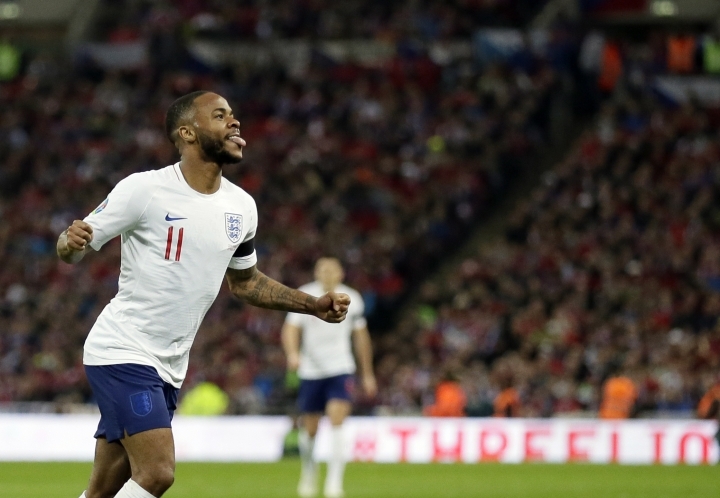 LONDON — A first England hat trick provided a chance for Raheem Sterling to celebrate and mourn. "May your soul rest in peace," read a message beneath a photo of Danary. Sterling had appealed last year for potential blood stem cell donors to come forward to save the boy. "It didn't match and he sadly passed away," Sterling said after England's 5-0 win. "I thought I had to do something to try to give his family something to smile about." Not that Sterling will care about any warning or fine for the moment of compassion in England's opening European Championship qualifier. 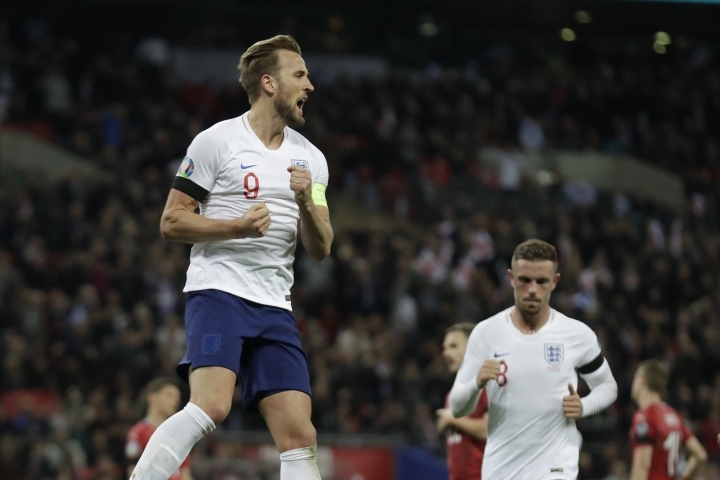 "I'm so delighted for him to get the reaction he got from the crowd," the England coach said, "because we can't hide from the fact he's had difficult moments. He's turned that full circle ... and I thought he was devastating tonight." The ease of the victory over the Czech Republic — Group A's highest-ranked side at 44 after No. 5 England — suggests the path to the finals shouldn't be hard to negotiate. "I'm just being confident with myself," Sterling said. "Being there and trying to get in areas and trying to take shots and not worry about anything, just go with it." Sterling's second — which was followed by the T-shirt tribute — came in the 62nd minute after he connected with a through ball from Manchester City teammate Kyle Walker that bounced into his path. 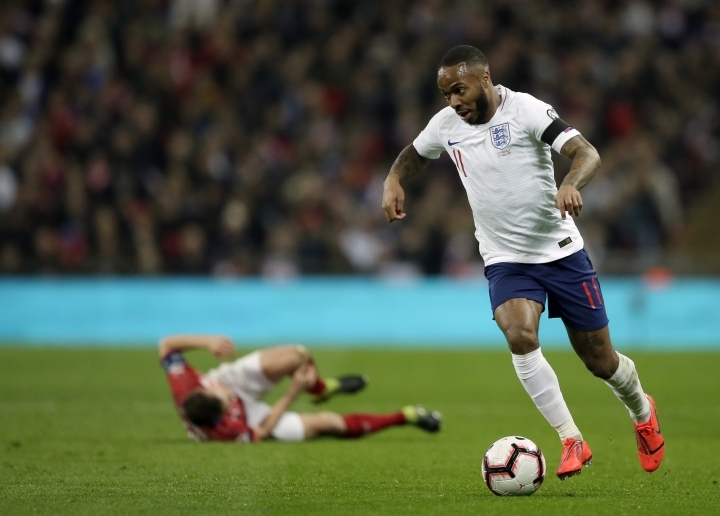 And six minutes later, Sterling made it 24 goals in 44 appearances this season for club and country when a curling strike deflected off Ondrej Celustka into the net. "He was electric all night," Southgate said. "He's looked that way all week in training, and was involved in four of the goals. I'm really pleased for him. It's a special night for him. "I just think he's really matured as a person and a footballer. He's hungry for those goals now." 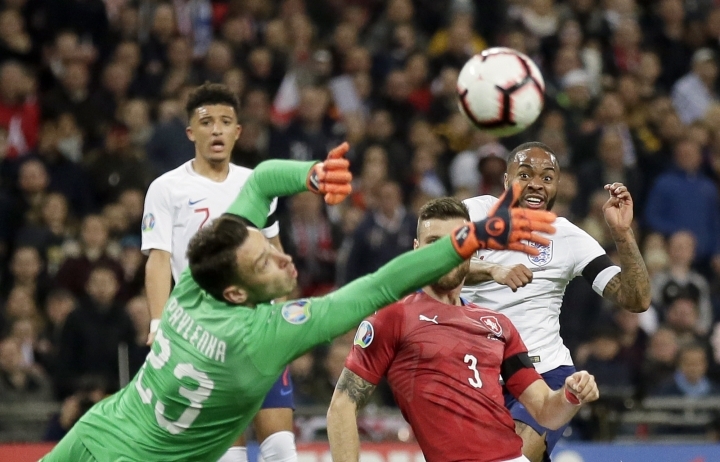 Sterling's replacement, Callum Hudson-Odoi, played a key role in England's fifth. England next plays on Monday against Group A rival Montenegro, which drew 1-1 with Bulgaria on Friday. A trophy can still be collected by England this year, with Southgate's side in the final four of the inaugural Nations League in June. "We play good football, everyone is expressing themselves," Kane said. "We've got young and hungry players and you saw that out there."